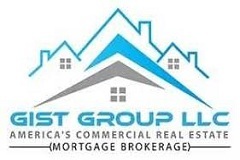 Gist Group LLC is a First Class Commercial Real Estate Firm. Established in 2013 in Myrtle Beach, SC. Currently owned and operated in Atlanta, GA. Gist Group LLC has been positioned as a leader in finance brokerage industry. Reviewing thousands of Business and Real Estate projects annually. Gist Group LLC continues to close millions of dollars in Real Estate and Business Loans. Gist Group LLC has cultivated relationships with private and public institutions. Creating syndication options for Real Estate Investor's needs. No project too large or small. In today's financial world Gist Group LLC creates a solution for many Real Estate Investors concerns.